So it’s Monday. I was working on our website (not my strong area) and having one of those afternoons where it’s hard to keep my eyes open. 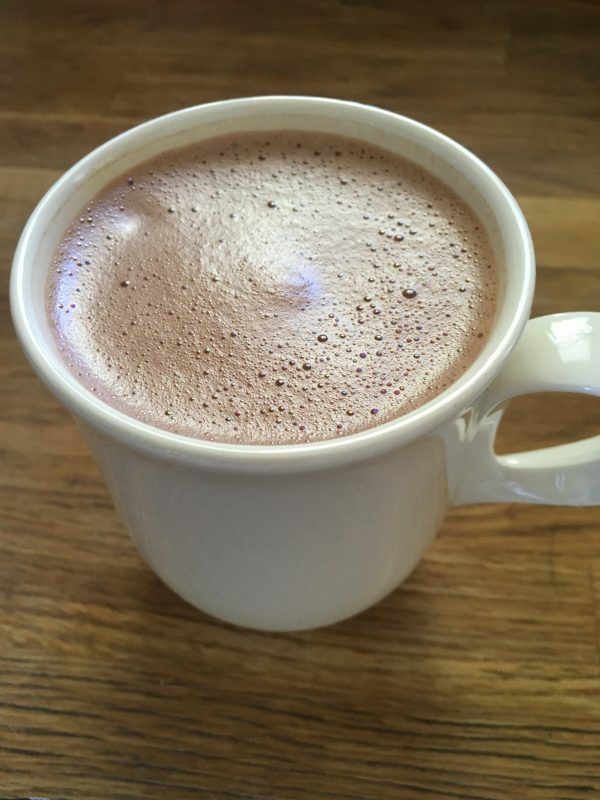 I wanted a quick pick-me-up that didn’t take too long to make and was sugar free. 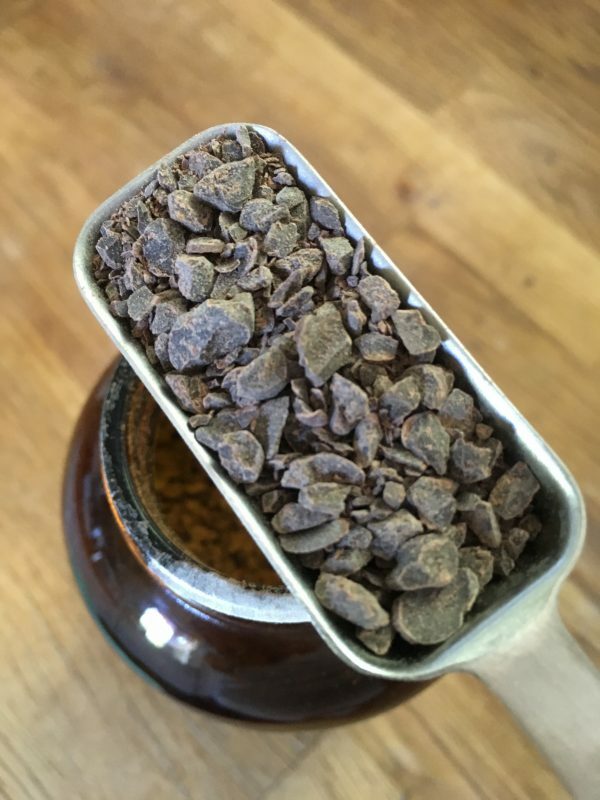 I don’t regularly drink coffee or espresso, and tea wasn’t going to cut it today. 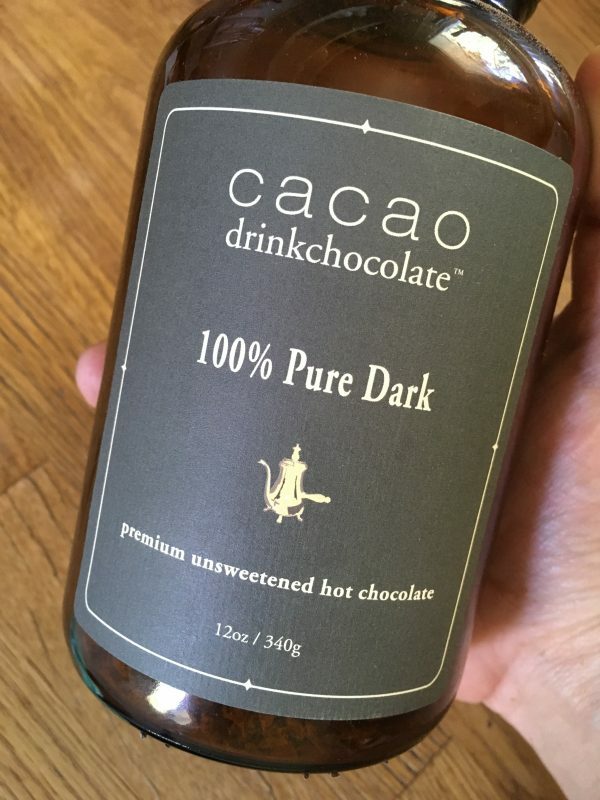 This is a quick shortcut method for making Cacao 100% Pure Dark unsweetened hot chocolate. 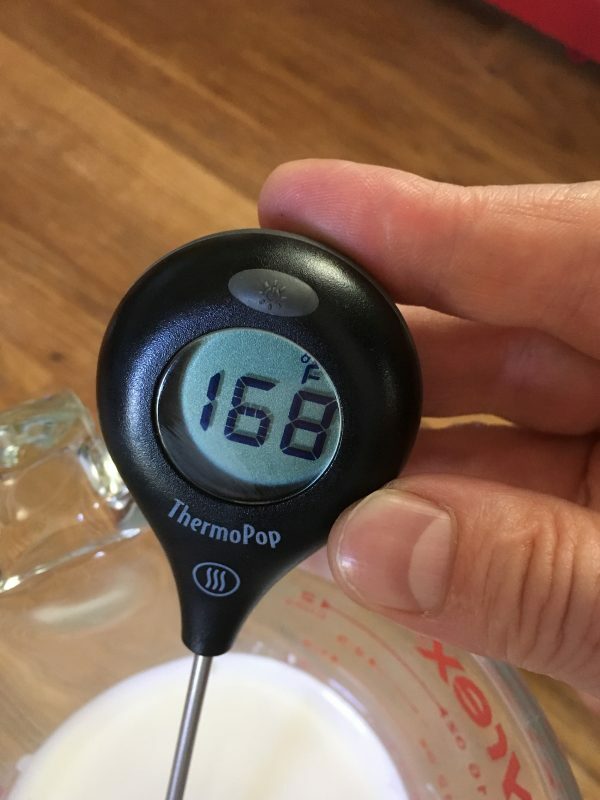 A milk frother and a microwave and a thermometer are not necessary but make it faster and easier, something I can make in the office. 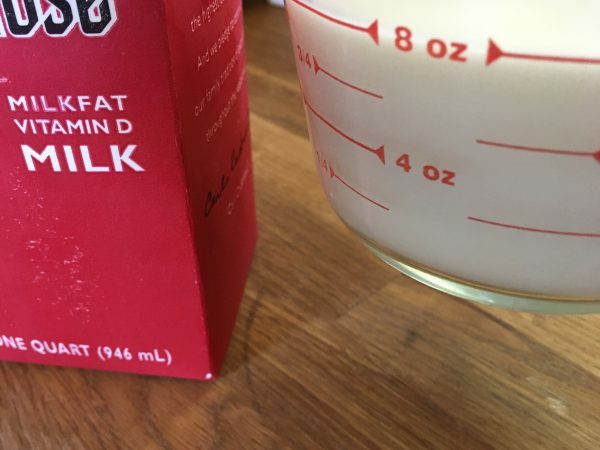 Measure out 1 cup whole milk. 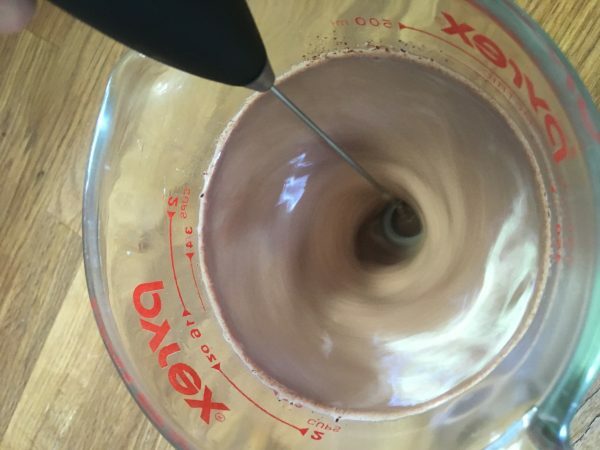 Blend with milk frother until all the chocolate is smooth and melted into the milk and the top is nice and frothy.